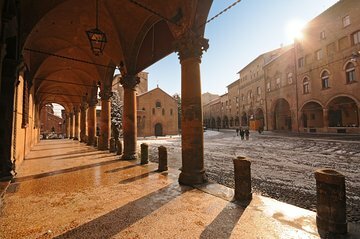 Bologna is known for its elegant, arched porticoes that stretch for some 25 miles (40km) around its streets. Steeped in history, these covered walkways all have stories to tell, and there’s no better way to learn about them than from a private guide. Check out the most interesting porticoes, hear about their history and learn about the traditional wooden examples that helped solve the city’s medieval housing shortage.